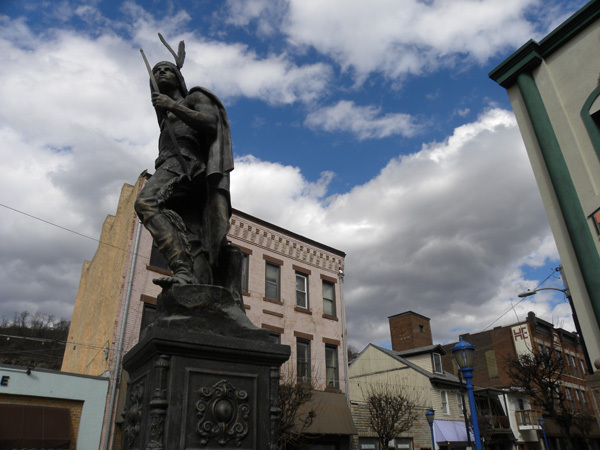 Join us as we take a walk back in time and into the future of Sharpsburg, a riverfront community that was home, at various times, to Seneca Indians, sturdy pioneers, and immigrants who labored on the Pennsylvania Canal and railroads and in the mills and factories. The Borough famously is the birthplace of the H. J. Heinz Company. Mayor Matthew V. Rudzki will accompany our group and will discuss the Borough’s plans for revitalization. You’ll see a wonderful collection of historic buildings that give character and distinction to this resilient community that has survived floods, fires, and the impact of the canal, railroad, and Route 28. Paid reservations by Tuesday, April 30, 2019. Meeting location: St. Mary Church (part of St. Juan Diego Parish), corner of Garnier and Penn streets near Sixth Street, Pittsburgh PA 15215. NOTE: Do not park at St. Mary’s Church because a wedding is being held there on May 4. Ending location: St. Mary Church, corner of Garnier and Penn streets near Sixth Street, Pittsburgh PA 15215. Parking: Park in the lot that is one block from St. Mary’s Church. It is the lot for the old St. John Cantius Church/St. Juan Diego Parish Korean Catholic Community Church. There is also free on-street parking on Saturdays in Sharpsburg.